Jeff Koons is an American pop artist, born in York, Pennsylvania in 1955 to a mother who was a seamstress and a father who worked as an interior decorator. He is known for working with popular culture subjects and for his reproductions of banal objects. His works have sold for important amounts, including one world record auction price for a work by a living artist. Jeff Koons had an early interest in art and as a teenager he admired Salvador Dalí. He studied painting at the Maryland Institute College of Art in Baltimore and the School of the Art Institute of Chicago. As a student he met the artist Ed Paschke who became a major influence and for whom he worked as a studio assistant in the late 1970’s. 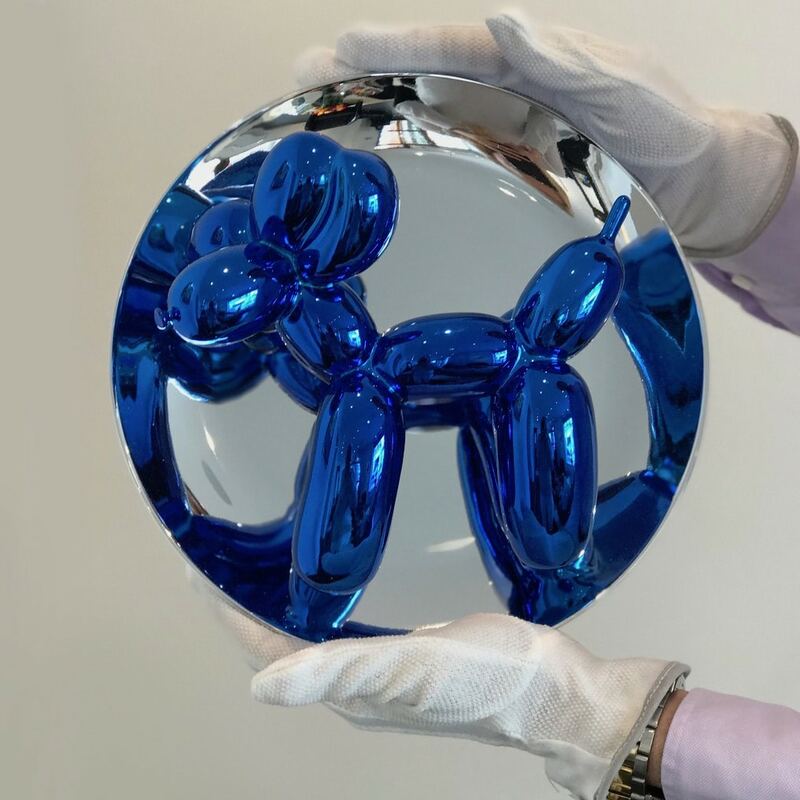 In the mid-1980’s Jeff Koons gained prominence and recognition as part of a generation of artists who explored the meaning af art in a media-saturated era. He set up a factory-like studio in a SoHo loft with over 30 assistants. 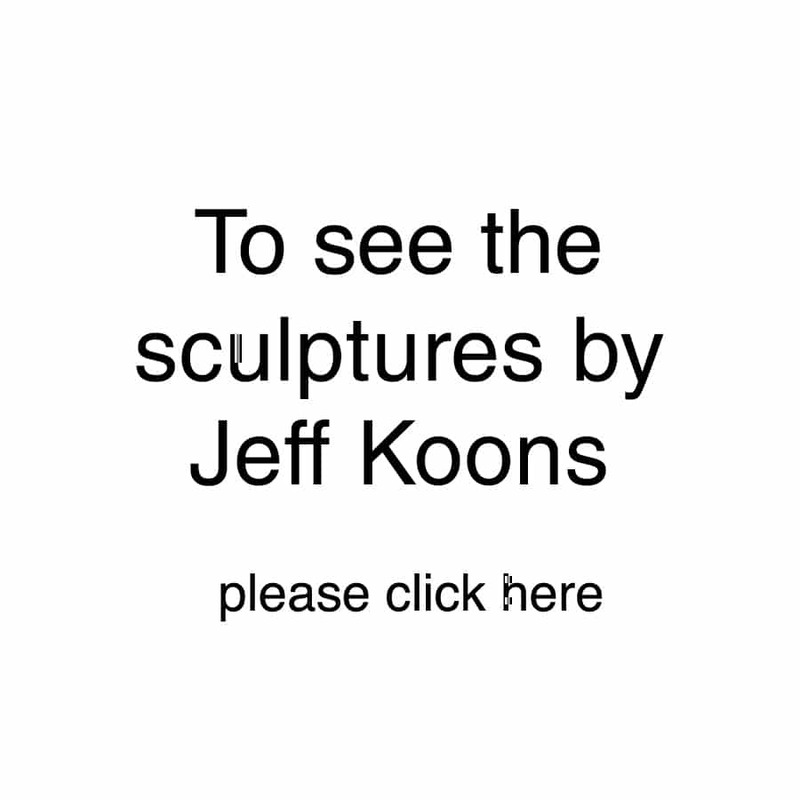 Since his first solo exhibition in 1980 Jeff Koon’s work has been shown in major galleries and institutions throughout the world. His work was the subject of a major exhibition organized by the Whitney Museum of American Art, Jeff Koons: A Retrospective in 2014, which traveled to the Centre Pompidou Paris and then further to Guggenheim Bilbao in 2015. His most recent series, Gazing Ball Paintings, was exhibited for the first time at Gagosian Gallery, New York in 2015. The artist has earned renown for his public sculptures, such as the monumental floral sculpture Puppy (1992), shown at Rockefeller Center and permanently installed at the Guggenheim Bilbao. 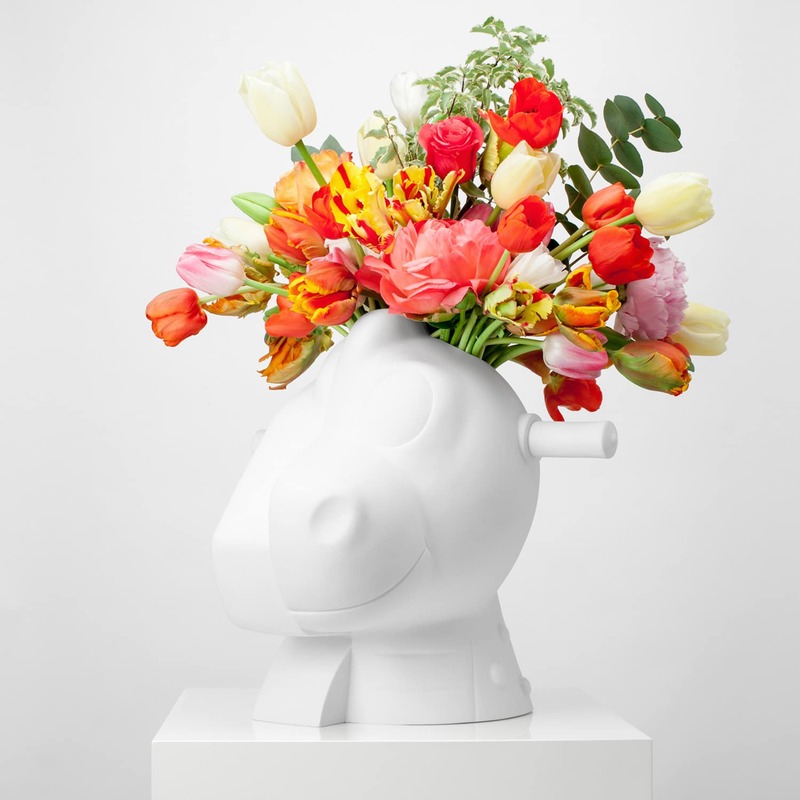 Another floral sculpture, Split-Rocker (2000), previously installed at the Papal Palace in Avignon, Château de Versailles, and Fondation Beyeler in Basel, was most recently on view at Rockefeller Center in 2014. 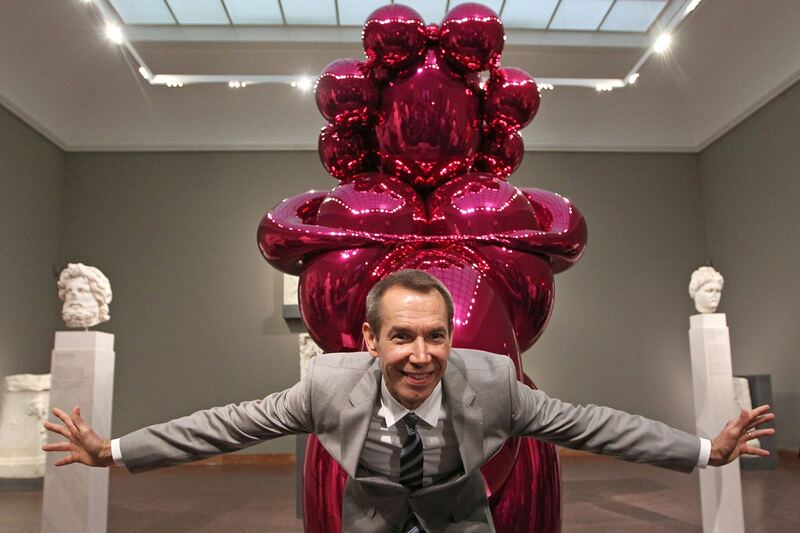 Jeff Koons has received numerous awards and honors in recognition of his cultural achievements. Notably, the Governor’s Awards for the Arts “Distinguished Arts Award” from the Pennsylvania Council on the Arts; the “Golden Plate Award” from the Academy of Achievement; President Jacques Chirac promoted him to Officier de la Legion d’Honneur; and Secretary of State Hillary Rodham Clinton honored Jeff Koons with the State Department’s Medal of the Arts for his outstanding commitment to the Art in Embassies Program and international cultural exchange. Since 2002 Jeff Koons has been a board member of The International Centre for Missing & Exploited Children (ICMEC) and co-founded the Koons Family International Law and Policy Institute with ICMEC; for the purpose of combating global issues of child abduction and exploitation and to protect the world’s children.